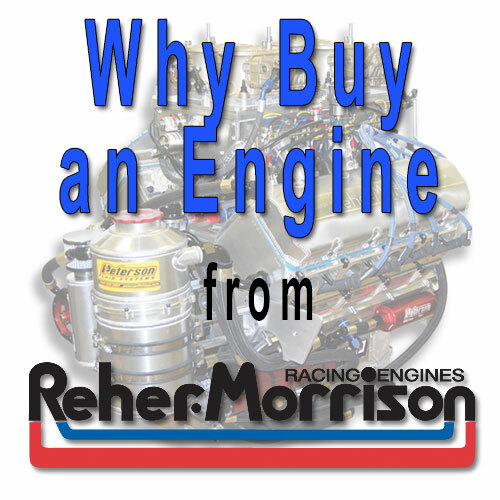 Categories: Engines, Why Buy a Reher-Morrison Engine. When you’re thinking about a racing engine, think about the experience and the credentials of the people who built it. We’re the only Sportsman engine builder with seven Pro Stock championships. What does this mean for Reher-Morrison customers? Simply this: Our engines are backed by years of experience in producing powerful and reliable racing engines. We earned our championships and wins through years of hard work and dedication. That same hard work and dedication is put into every one of our Super Series engines. Our Super Series big-blocks are machined on the same equipment, assembled by the same technicians, and tested on the same dynos as engines for leading Pro Modified teams. Of course, not every racer wants or need a Pro Stock or Pro Mod engine. That’s why we developed our Super Series big-blocks specifically for sportsman classes. Every Super Series combination is a coordinated package of components that produces big power with maximum reliability and minimum maintenance. We apply what we learn on the flow bench, in the dyno cell, and on the race track to every engine we sell. When we develop a valve seat with more airflow or a ring combination with better cylinder sealing, we use that knowledge to build better bracket racing engines as well. Because we work with the top manufacturers, we have parts you can’t get anywhere else – exclusive forging dies for our Super Series pistons, special lobe profiles for our Super Series camshafts, and our own proprietary CNC machining programs for fully ported cylinder heads. Reher-Morrison People – From the engine builders, head porters, tech and sales staff, Reher-Morrison’s knowledge and attention to detail is apparent. Every engine component is visually checked. Each ported head is checked for maximum flow and velocity. A friendly and knowledgeable tech and sales staff provide Reher-Morrison’s trademark service. Reher-Morrison Research & Development – Reher-Morrison is famous for constant Research and Development. 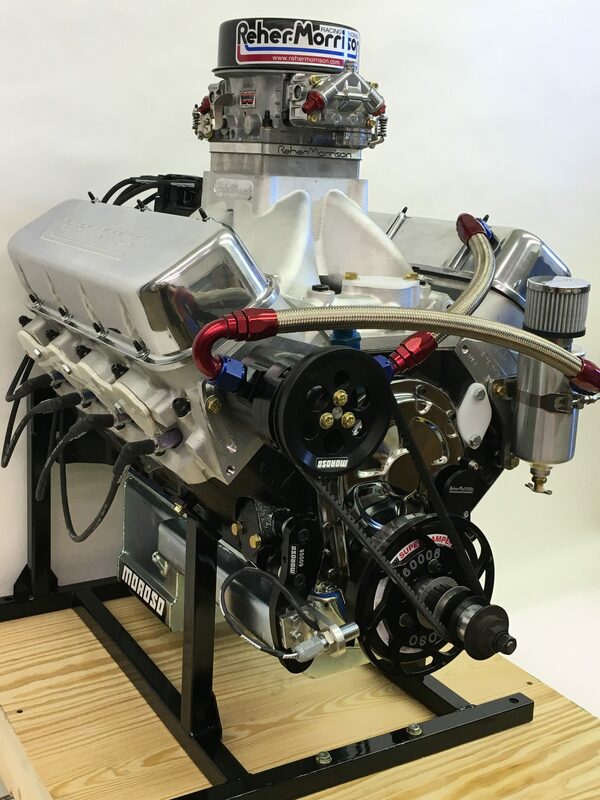 Whether it is R&D for a Pro Mod engine or a major OE manufacturer, you can be sure that the latest technology is passed on to all Reher-Morrison Super Series engines and components. 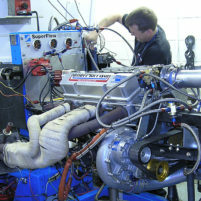 Dyno Testing – Every Super Series engine is dyno tested and tuned before it leaves our shop. This ensures correct horsepower and performance right out of the crate. We have the technology to control the temperature and humidity in our dyno cell, which ensures that our dyno results are precise and accurate. Reher-Morrison Installed Bronze Lifter Bore Sleeves – Many of our Super Series engines have CNC installed SAE 660 to ensure proper bore angles, reduce lifter wear, and increase reliability. Reher-Morrison Anti-Reversion Technology – Every Super Series engine has Reher-Morrison’s CNC anti-reversion plates and spacers. These broaden the power curve of your engine, improve carburetor signal, pull more fuel, provide increased throttle response, and have faster recovery after gear changes or after coming off the throttle stop. Reher-Morrison Custom Oil Pan & Pump – RMRE custom oil pans will not allow pressure drop off at the start or finish of a run. The pump is assembled with a brazed oil pickup and RMRE spec screen. Reher-Morrison Custom Pistons – Custom light weight pistons with dome profiles designed to increase compression, durability and power. We CNC our piston domes to prevent pre-ignition, for better flame-travel, and for reduced detonation. Reher-Morrison Custom Wrist Pins – More durable, stronger and lighter than off the shelf wrist pins. Reher-Morrison Custom Piston Rings – Reduce friction, resist high-rpm flutter and increase power. Reher-Morrison Custom Camshaft – Provides maximum performance for your engine, yet is relatively easy on valve springs. Reher-Morrison Custom Pushrods – Designed to Reher-Morrison specs for maximum strength and durability. Reher-Morrison Spec Intake Bolts – Correct length for more positive sealing and durability. Reher-Morrison Valve Covers – No leaks after multiple removals and lets the competition know you are serious! 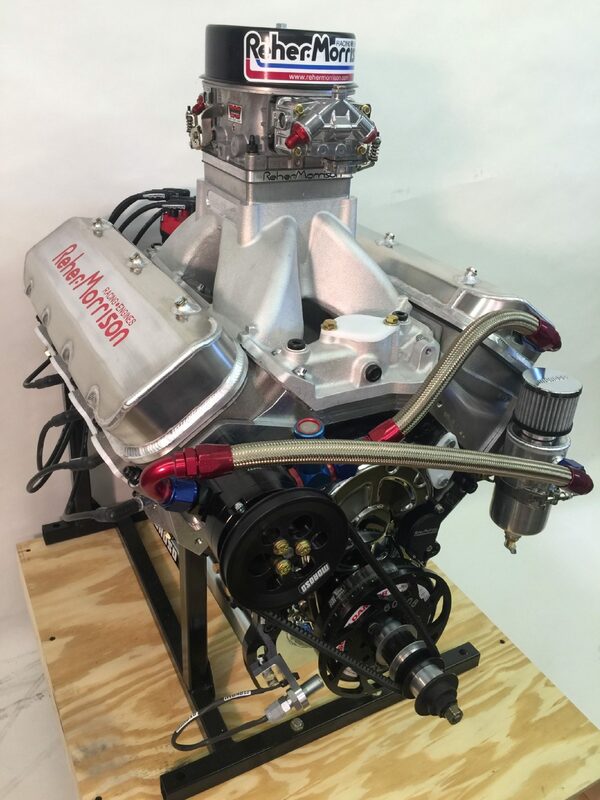 Gary Williams Custom Carb – Dyno set and adjusted for maximum performance. Titanium Retainers – High quality and ultra durable. Titanium Intake and Exhaust Valves – Several Reher-Morrison Super Series engines feature titanium valves what are ultra durable and improve performance signficantly.